All in one unit for studying pressure, temperature and volume of a gas. To demonstrate the relationship between pressure and volume of gas. This unit consists of a 29mm diameter graduated cylinder with a piston and a screw valve. The cylinder acts upon a manometer through a narrow passage. 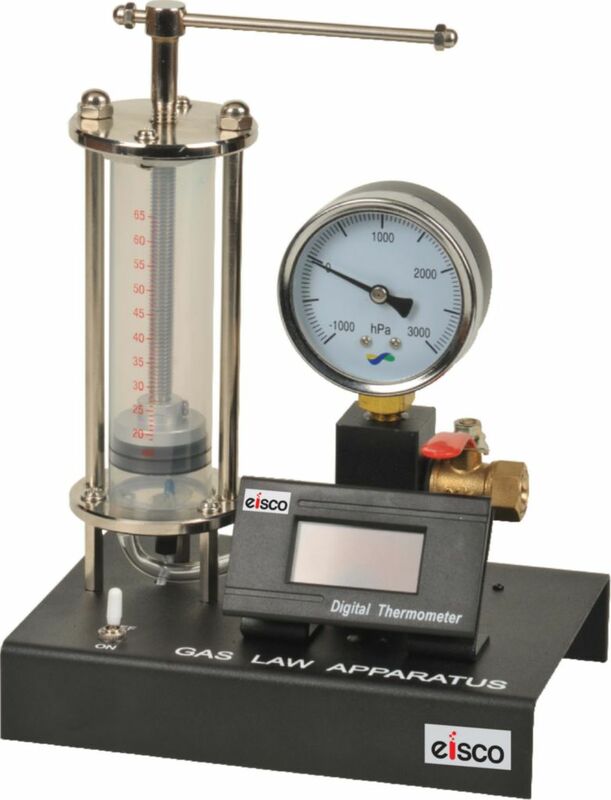 Can read the gas’s temperature in the cylinder by digital thermometer in °C.